The good folks in the LEGO Starfighters group on Flickr have started a new Novvember. That means that many people are building Vic Vipers, inspired by the game Gradius, all month long. 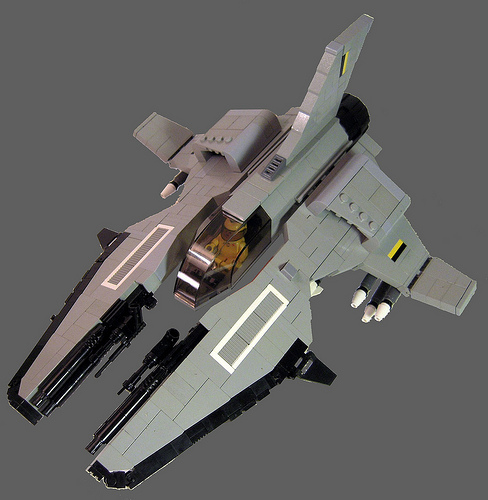 I’m digging the one below by legodrome, and I’m sure there will be many more nice fighters to come. I feel that the black stripes on the front are rather sharp.